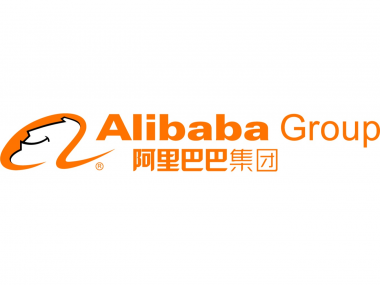 Silicon Valley’s Silver Lake and DST Global of Russia, as well as Chinese private equity firm Yunfeng Capital, are leading a $1.6 billion tender offer for privately held employee and shareholder stock of China’s Alibaba Group, according to sources close to the situation. Yunfeng, by the way, was co-founded by Alibaba Chairman and CEO Jack Ma, as well as other prominent Chinese entrepreneurs. Along with DST, Silver Lake and Yunfeng, Singapore-based investment firm Temasek is also participating in the tender offer as an investor, but in a smaller way. The deal, which has been discussed for some time, was signed earlier today and will be presented to its employees in an internal company blog, which will be in Chinese. To get around persistent foreign ownership issues in China, sources said, DST and Silver Lake are ceding voting control of their stakes to Alibaba management. If the tender is fully subscribed, that would mean a stake of just under five percent for the group, sources said, and it gives Alibaba a $32 billion enterprise valuation. The impetus for the tender offer, which begins today, appears to be trying to address a cash-out, paper-rich issue for Alibaba employees. There are no active secondary private markets in China, as is the case for tech start-ups in the U.S., and there is also no IPO in the foreseeable future for Alibaba. Thus, management has been looking for a way to give its employees and also other shareholders some liquidity. This tender offer is not a capital raise by Alibaba and is only aimed at eligible employees and shareholders. The purchase of the Alibaba shares is expected to close before the end of December. It will be done via a special investment vehicle, specifically aimed at this purchase, that includes a spate of investors. Giant Interactive Group, a Chinese online game developer, for example, said it had committed $50 million to the fund. It’s not clear what the implications are for Alibaba’s biggest shareholder, Yahoo, which sources said is not selling shares in the tender offer. Yahoo’s fully diluted Alibaba 39 percent stake is now worth $12.5 billion in the deal. That’s discounted due to tax issues and also the inability of the Silicon Valley Internet giant to sell its Alibaba shares. In other words, investors will likely welcome this higher valuation, but realize a public offering is farther away than ever. But it is interesting in that it clearly shows a strong relationship between DST and Silver Lake, which have jointly been mulling a possible bid for Yahoo along with Silicon Valley venture firm Andreessen Horowitz, as I previously reported. Some will speculate that Silver Lake and DST now have an in with Alibaba, which is important, since a large slug of Yahoo’s market valuation is due to its Alibaba and also Yahoo Japan! assets. If Yahoo is sold, of course, the disposition of the Alibaba asset is an important part of the deal. More to come, including the implications for Ma, who has been under siege of late around his spinning out of Alibaba’s Alipay payments service and the noisy battle that later ensued with Yahoo. Yahoo and Alibaba, as well as its other large shareholder, Japan’s SoftBank, settled that dispute earlier this summer. His involvement in Yunfeng, which is buying the company’s shares in a special fund that Ma is not in, will likely attract some scrutiny, anyway. Sources said Ma is a minority investor in Yunfeng itself, has no control rights and is not a director. In addition, Yunfeng has no relationship with Alibaba. In another interesting twist, Alibaba rival Tencent has close ties with DST’s Internet affiliate that used to share the same name, having invested $300 million last year in the affiliate that holds major Russian Internet properties.